This is part two of my review of Jesus is Lord. Part one is here. Jesus is Lord has three chapters on Paul. Michael Bird discusses Romans, a letter that uses language like gospel, savior and Lord frequently. As Bird points out, these were not “Christian words” in the middle of the first century. But Paul was not “consumed with political activism” (148) and much of Paul’s language for salvation is drawn from the Septuagint (149). The book of Romans is a theological document describing God’s righteousness as available for both Jew and Greek. If there are socio-political dimensions to Romans, it is because “Israel’s faith was always socio-political” (161). Lynn Cohick focuses her chapter on Philippians. Several factors make Philippians fertile ground for Empire studies. First, inscriptional evidence indicates that the imperial cult was present in first century Philippi (169). Second, there is a great deal of citizenship language in Philippians as well as the usual “Jesus is Lord.” Third, there studies on Philippians that describe Paul as “colonialist and imperialist” (Joseph Marchal) as well as those who see Paul as critiquing the Empire (N. T. Wright). Like Bird, Cohick concludes that if Paul is anti-imperial, it is part of his Jewish context. Certainly there is a challenge to the power of Rome, but that is not very different than any Jew living in the middle of the first century. Allan Bevere contributes a chapter on Colossians. He states clearly in the first line of the chapter that the theme of empire is not central to Colossians or Philemon (183). His main dialogue partner in the chapter is Brian Walsh and Sylvia Keesmaat’s Colossians Remixed: Subverting the Empire (InterVarsity, 2004). This popular book takes the opposite view, that Colossians is deliberately subverting Empire and Paul is decidedly anti-Rome. Perhaps the most important text in Colossians for the Empire theme is Col 2:15: Christ has disarmed the rulers and authorities, making a public example of them. This sounds like Imperial language: defeat and humiliate the enemy, then give yourself a Triumph in Rome to publically mock the enemy. Bevere finds it hard to believe that the original readers would have understood the language as anti-imperial. Like Bird and Cohick, Bevere grounds Paul’s views in his Jewish world view, especially Exodus language. But Exodus is not about liberation from political enemies (Egypt or Rome), but the liberation of Gentiles who now share in the inheritance of Israel (191). To a certain extent, I found the final chapter by Dwight Sheets disappointing. It is not that this chapter on Revelation and Empire is bad, on the contrary it is quite readable. What is disappointing is that it is a brief 12 pages. To almost everyone, Revelation is the one book where anti-imperial language is obvious. The topic is broad enough to merit an entire monograph, to dispatch it in 12 pages is frustrating. 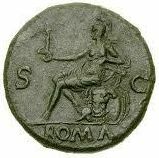 Sheets does set Revelation into the context of the end of the first century and interacts with challenges to the common view that Domitian was a tyrant who demanded worship. He agrees with recent studies that point out Asia Minor was not an oppressed territory, nor were Christians under significant persecution, either economic or social. Problems were internal, Christian apostasy is threatening the church, although there is a threat coming from Rome. For Sheets, Rev 13:15 indicates that John understood the direction the imperial cult was going and he warned his readers of this coming threat. Conclusion. Jesus is Lord is a stimulating book that raises far more questions than it can answer. Most chapters are introductory and encourage the reader to read more on the topic. I find it interesting that several of the contributions conclude that Paul is anti-imperial, but only because Israel’s theology was always anti-empire, whatever the empire was. I would really like to see this developed, perhaps in a study of anti-imperialism in Jewish apocalyptic literature. There are a couple of things missing from this book. First, there is no chapter on the Gospel of Mark. I find this odd, since Richard Horsley has written a monograph on the topic (Hearing the Whole Story: The Politics of Plot in Mark’s Gospel, 2001). Certainly Warren Carter has been more active in Matthew, but Mark deserves attention. Second, there is nothing on the Jewish Christian literature other than a few comments in Diehl’s chapter. It is true that there is little Empire study done on these books, but Rome and Hebrews would make for an interesting study. Third, the chapter Revelation ought to have been longer since it is the best example of anti-imperial rhetoric in the New Testament. Even with these criticism, I enjoyed reading Jesus is Lord and look forward to integrating some of the insights into my Pauline Literature class this fall. 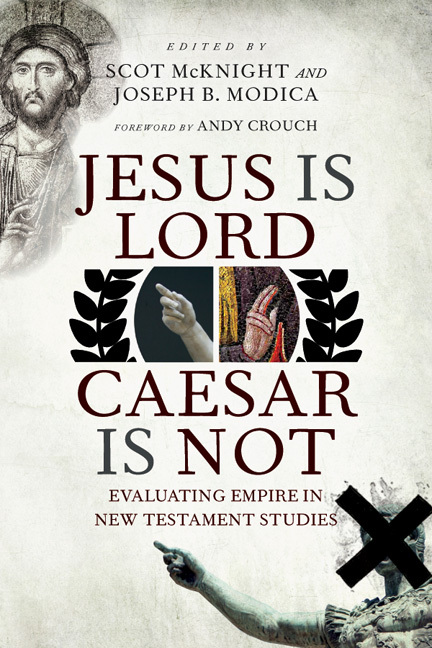 Readers interested in setting the New Testament documents in the context of the Roman world will find this to be an excellent introduction to a growing topic. Since each chapter includes a bibliography, interested readers can find additional resources on the topic. The book might be a valuable text book in a New Testament course since it does attempt to read the Scripture against an appropriate cultural background and (potentially) throw some light on difficult passages to apply to modern Church and State issues.